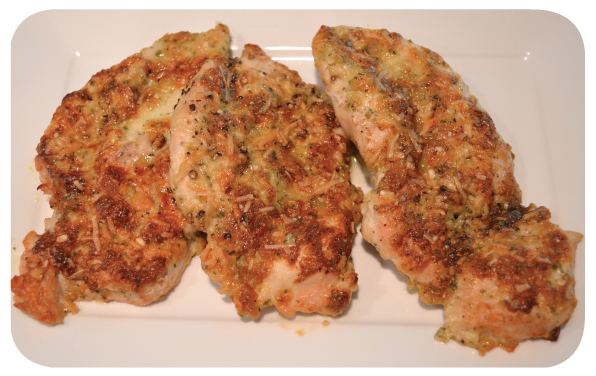 simple sunday: parmesan ranch chicken | Is there any wine left? This is good, y’all. Easy to put together and super satisfying. Put the chicken breasts in a ziplock bag and squeeze the air out. Use the smooth side of a meat tenderizer to pound them to 3/4″ thickness. In a small bowl, combine the mayo, 1/3 c of the Parmesan, and the Ranch mix. Put the chicken breasts in a greased baking dish and coat the tops with the mayonnaise mixture. Add pepper and the remaining Parmesan cheese to the chicken breasts. Bake at 350 degrees F for 30-35 minutes, until the chicken is cooked through and the topping has browned. Serve immediately. Place the chicken breasts in a ziplock bag and use a meat pounder to flatten them to 1/2 inch thick. Coat a baking dish with non-stick spray and place the chicken breasts in the dish. In a bowl, combine mayo, Ranch seasoning, and 1/4 c Parmesan cheese. Coat the top of the breasts with the mixture. Sprinkle them with pepper, to taste, and the remaining 2 tbsp of Parmesan cheese. Bake at 350 degrees F for 30-35 minutes, until chicken is cooked through and coating has browned. Serve immediately. Don’t know why I waited 15 days to make this, Katie! Omg — delish!